If you are not one of the 40 million people who subscribe to the YouTube channel of Swedish gamer Felix “PewDiePie” Kjellberg, you may not know that his video game, PewDiePie: Legend of the Brofist, has arrived on the App Store and Google Play. The side-scrolling adventure allows gamers to play as PewDiePie, and as expected, his fans have eaten it up. In two days, it has reached the top spot on the iTunes App Store’s list of the most popular paid apps. 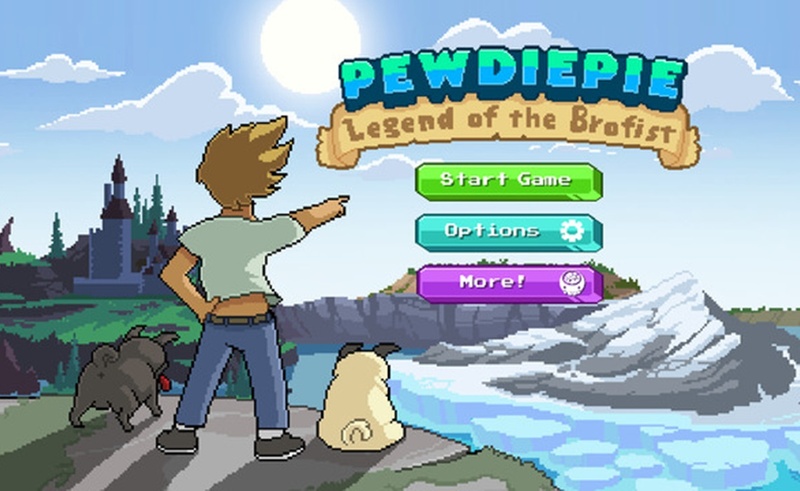 Legend of the Brofist, which PewDiePie previewed earlier in 2015, was developed by Canadian studio Outerminds. It follows PewDiePie and his gamer friends as they track down a villain who has kidnapped PewDiePie’s fans in hopes of acquiring the titular brofist. Beyond PewDiePie, YouTube stars who contribute their voices and likenesses to the game include Markiplier, CutiePieMarzia, and jacksepticeye. They can all be heard in a new preview of the game PewDiePie offered on his YouTube channel. The game’s rise up the App Store charts should not surprise anyone familiar with the passion of PewDiePie’s “bros,” but the numbers are still kind of shocking. 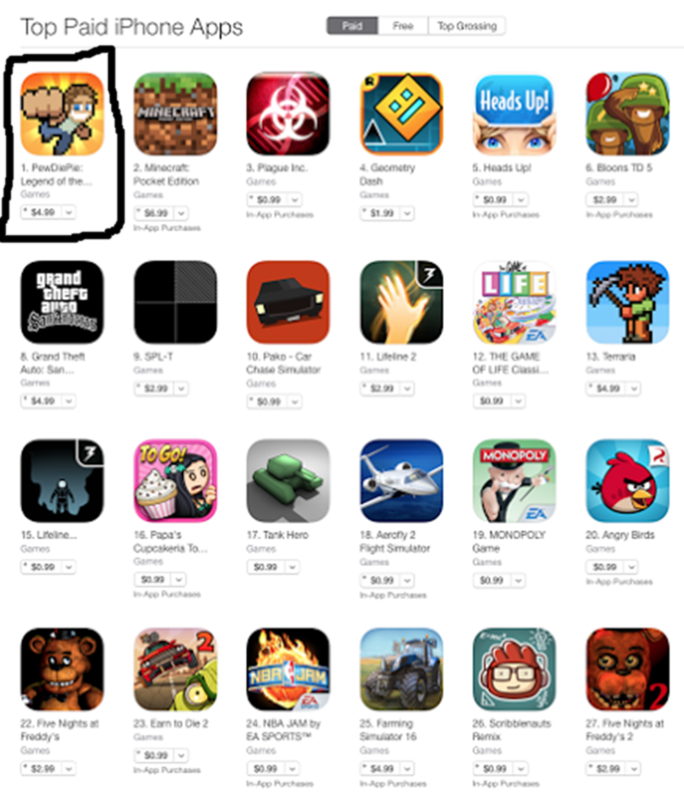 On the paid charts, Legend of the Brofist is measured against other apps that require a fee to download. Most of the other apps on the list cost between $1-3. Legend of the Brofist, on the other hand, retails for $4.99, but despite that comparatively hefty price tag, it is still outselling everything else. Legends of the Brofist’s big debut wraps up a strong week for PewDiePie. A day earlier, we learned the popular Swede will appear on the October 1st episode of The Late Show with Stephen Colbert. Perhaps he’ll convince Stephen to give his game a spin.